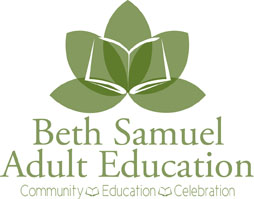 The learning is not reserved for children and teens at Beth Samuel. We have an active adult education program. View our Events Calendar to see upcoming Adult Education Lectures. Please RSVP for all events to bethsamueloffice@comcast.net or 724-266-5238. Refreshments will follow the lectures. There is no cost for any of the events but donations are welcome.